A.B. 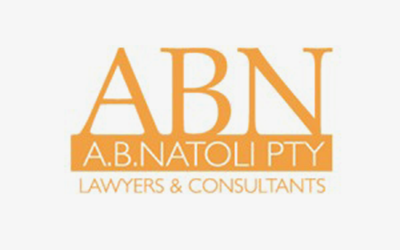 Natoli Pty is the legal practice now being carried on by John, Angelo and Paul Natoli, three of the sons of Angelo Basilio Natoli who first commenced practice as a solicitor in 1947 and was principal and consultant with the firm up to his death in 1998. Throughout its history, the practice has maintained a strong commitment to providing legal services to families and now in these modern times, families of all varieties. Naturally enough, we now find that we act for the children and grandchildren of clients we have established over the last 65 plus years. We strive to provide good quality legal and practical advice to our clients and in doing so we are mindful that the advice needs to be given in clear, non-technical terms and at a reasonable cost. This we do. Our experience and training allows us to furnish services to you in numerous areas of law which encompass just about every legal eventuality from the “cradle to the grave”.